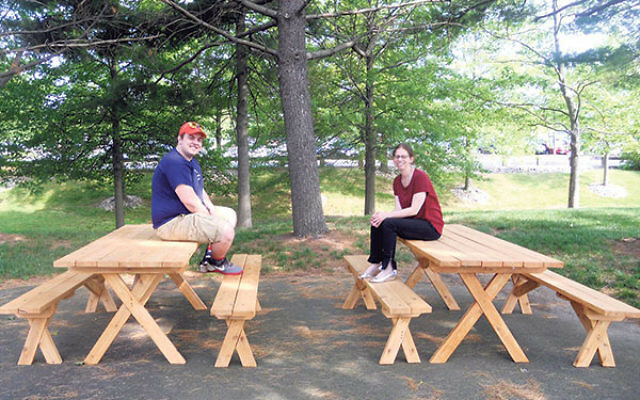 Kenny Pepper and Lara Wellerstein relax on the picnic tables he built. 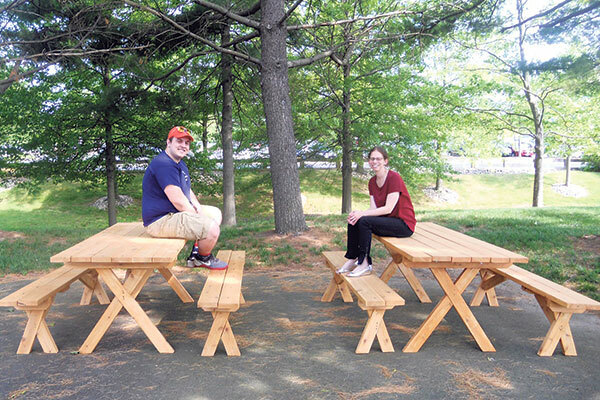 Thanks to Kenny Pepper, a member of Boy Scout Troop 66 in West Windsor, staff members at Jewish Family & Children’s Service of Greater Mercer County now have brand-new picnic tables and benches for lunches and outdoor meetings at their facility in Princeton. Kenny, 18, built the furniture for JFCS as part of his Eagle Merit Badge requirements. The son of Anne and Mark Pepper of Princeton Junction, members of Beth El Synagogue in East Windsor, Kenny is a recent graduate of The Pennington School who will attend Syracuse University in the fall.